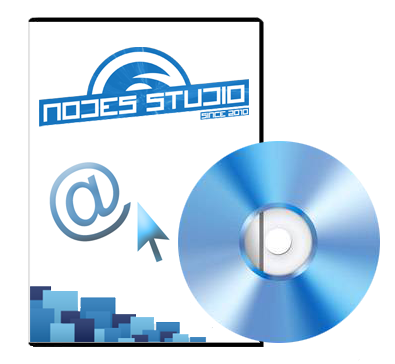 Nodes Studio includes admin panel (CMS), which is a class described in the file /engine/nodes/admin.php. object $this->site - primary site object. array $this->statistic - an array of CMS statistics. engine::print_admin_pages($cms) - section "Pages" with the manage system of public pages. engine::print_admin_content($cms) - section "Content" with the contents manage system. engine::print_admin_products($cms) - section "Products" with the products manage system. engine::print_admin_users($cms) - section "Users" with the users manage system. engine::print_admin_orders($cms) - section "Orders" with the orders manage system. engine::print_admin_finance($cms) - section "Finance" with the finances manage system. engine::print_admin_language($cms) - section "Language" with the language manage system. engine::print_admin_attendance($cms) - section "Attendance" with the site traffic statistics. engine::print_admin_files($cms) - section "Files" with the file manager. engine::print_admin_config($cms) - section "Config" with the site settings. engine::print_admin_backend($cms) - section "Backend" with the backend manage system. engine::print_admin_templates($cms) - section "Templates" with the template manage system. engine::print_admin_perfomance($cms) - section "Perfomance" with the site speed statistics. engine::print_admin_outbox($cms) - section "Outbox" with the manage system of bulk Email. engine::print_admin_logs($cms) - section "Logs" with log of events. engine::print_admin_errors($cms) - section "Errors" with log of errors.